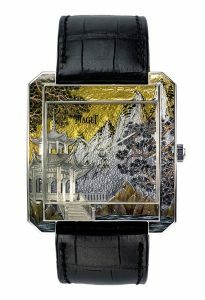 There is a trend going on right now in the luxury watchmaking market, in terms of aesthetic sophistication. It is adopting unusual materials for the cases and dials, quite new to the traditional watchmaking processes. This movement is pushing the market of niche-brands, but also of the largest Swiss Maisons, into new standards of design experimentation and artistic refinement. Let’s see a couple of interesting examples. 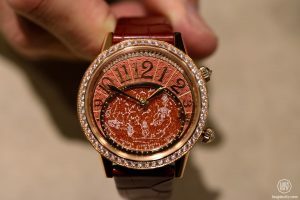 The Grand Maison of Jaeger-LeCoultre recently showed the Rendez-Vous Celestial, as an ode to the world of astronomy. Indeed, it reproduces the colors of the sun through the unusual choice of bordeaux aventurine. 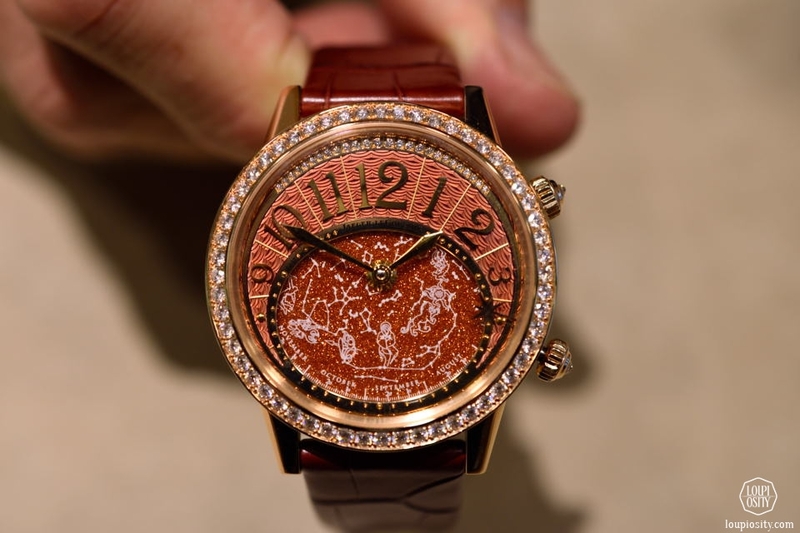 The dial changes shade depending on how the light hits the surface, from a vibrant red, to a mineral ochre and orange. The Protocole XXL Miniature Enamel by Piaget astonishingly mixes champlevé, miniature enamel painting and hand-engraving techniques displayed on a beautiful dial clothed in gold and silver leaf. A real peace of art. The 18-carats gold case shimmers under a transparent enamel. 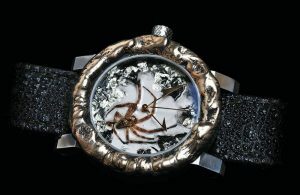 Considered as among the most creative and provocative watchmakers on the market, Artya produces the fascinating Arachnophobia watch. It encloses an actual wolf spider into its dial, while the steel case gets its unique finish and shape through a high-voltage lightning bolt.